THE valley of the River Severn will regularly echo to the sound of a GWR ‘57XX’ 0-6-0PT once more during 2017 following the return to operation of the Severn Valley Railway’s (SVR) resident Kerr, Stuart-built No. 7714. Although there have been visits by South Devon Railway-based classmate No. L92 (5786), most recently in March 2015, and ‘64XX’ cousins Nos. 6430 and 6435 earlier in 2016, the SVR has not been able to turn out a Pannier of its own since the withdrawal of No. 5764 in 2011. No. 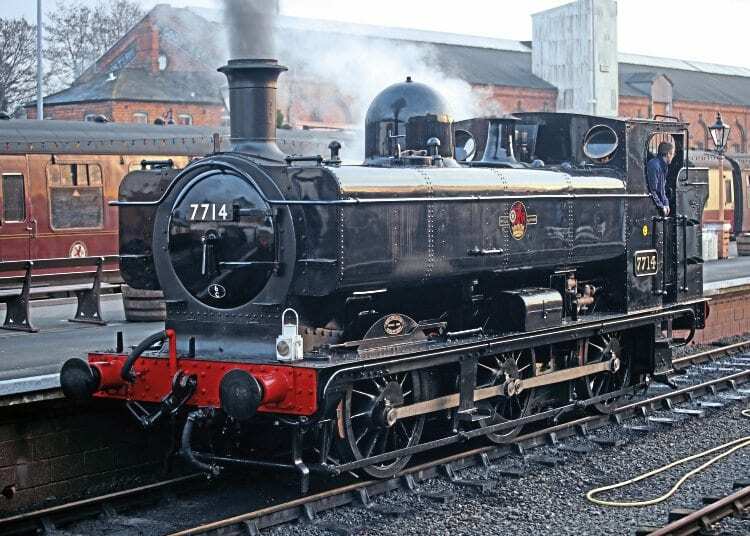 7714 itself was taken out of service two years prior to that, subsequently moving to Bridgnorth for overhaul and a major boiler repair.